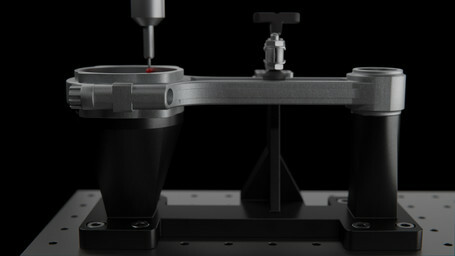 The Mark X allows users to print larger parts than ever before. 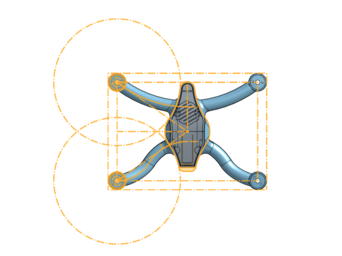 We've created and iterated on a custom unibody 3D printed drone. 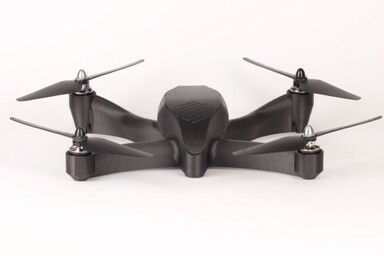 If you’ve been following us recently, you’ve probably seen our new favorite Mark X part: a unibody, 3D printed drone. 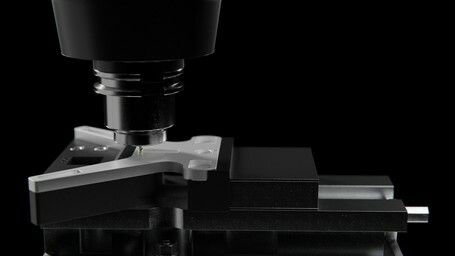 Dreamed up as a potential demonstration of the size, strength, and surface finish of Mark X parts, it has far exceeded expectations in practice. In this post, We’ll discuss how we designed the part for printing and flying quality. Unibody: In order to showcase the size of the Mark X, we wanted the main structure of the drone to be one part. 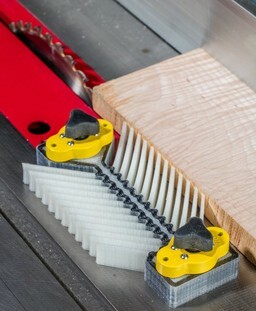 This both shows off the size of the Mark X and eliminates weak points where multiple parts would connect. Fit IRIS+ Hardware: We chose to use the hardware, control, and motors from an IRIS+ Drone for our final product. We’ve modified an IRIS+ drone before, so using this hardware was an easy choice. This meant that all the critical components and wiring from that drone had to fit easily inside the hollow body of the part without upsetting center of gravity. Secondarily, the hardware needed to be easily removable as we intended to iterate through several prototypes. Print in Onyx without supports: A unibody drone is a time consuming print. 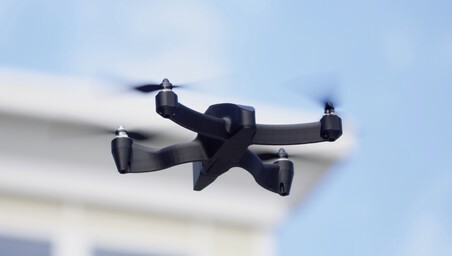 By itself, the drone contains more than 220 cubic centimeters of Onyx. 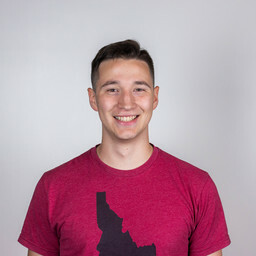 We wanted to limit print time to less than three days at most, which meant minimizing (or even eliminating in some prototypes) carbon fiber usage and designing to eliminate supports altogether. Fit on a Mark X Build Plate: This may seem simple, but it meant that we needed to be creative in propellor placement. We’ll have more detail on propellor placement in the following section. Even with clearly defined requirements, it’s often hard to get started with designing a part of this size and complexity. We started simply with a top down sketch of the 3d printed drone. By laying out the four props in their locations, we could see the scale that we were working at and sketch the general body shape. It was here that we ran into our first problem: The propellors were 245mm in diameter, and the build plate is only 250mm in the Y direction. Factoring in the extra 50mm of space we needed for the motor mounts, it meant that the front and rear propellors occupied the same space on the sketch (as seen below). If this sounds problematic, it’s because it is; having propellors crash into each other would be catastrophic. Luckily, there was a pretty easy solution: raise the rear two props above the paths of the front props so that they occupied different planes and could all spin freely. ‍We used this 2D sketch, which superimposed on the final drone for reference, to lay out the critical locations of drone parts. Now that we had settled the general location and shape for everything, it was time to drill into the details of design. We used Onshape to CAD each piece of IRIS+ hardware and used the models to inform the internal shape of the main body. Each piece of hardware got custom internal mounts, leaving room for cable routing inside the body and hollow arms. One everything was placed in the drone, we focused on ensuring that the part would print well without supports. Thanks to Onyx’s ability to print unsupported on 70 degree inclines, we didn’t have to severely compromise any aspects of the design. Upon uploading our file to Eiger, we were pleasantly surprised to find out that it would only take about two days to print (instead of the budgeted three). We finished up laying out the part and let the machine do its work. ‍An internal view of the drone in Eiger showing two unique laser scans. While that timelapse and laser may seem like a succinct end to the story, it wasn’t. The first drone worked, but didn’t quite fit everything correctly. So we continued (and still are) iterating on the design. We’ve produced four unique versions of the 3d printed drone, each a little better than the last. Thanks to the ease and speed of the Mark X, prototyping something of this size repeatedly isn’t a painful process. We’ll continue making this drone better until we’re fully happy with it. 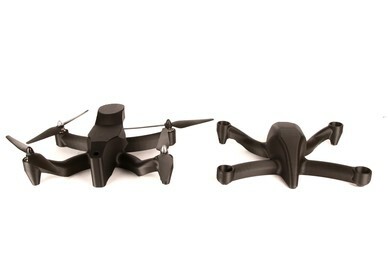 ‍Two other 3D printed drone iterations. For the most part, the 3d printed drone exceeded our expectations. Each iteration flies slightly differently from the last, but they’re all comparable in performance to the IRIS+. All in all, we’re really happy with the performance of the the drone. 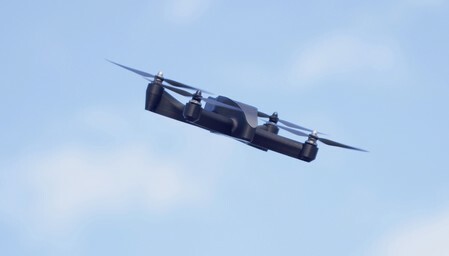 ‍The drone performing maneuvers in flight. ‍A bottom view of the first iteration drone in flight. 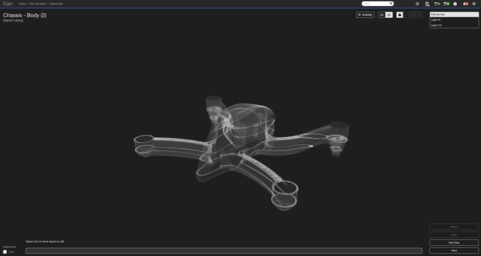 Note: Since we’re still iterating on the design, we’re not going to release an .stl file of the drone yet. We’ll share the file when the design is finalized. Follow us on Facebook, Twitter, Instagram, and Linkedin for more updates!